I fell in love with La Cava when I visited it shortly after it opened. The spiralling staircase leads to a low lit, temperature controlled space, evoking the feeling of being, as the name suggests, in a cave. I recall from that first time and subsequent visits that I felt it was a place I could take a long a good book, an anthology of poetry or a newspaper and unwind for a few hours. The concept is all about making La Cava more accessible and less intimidating to guests. 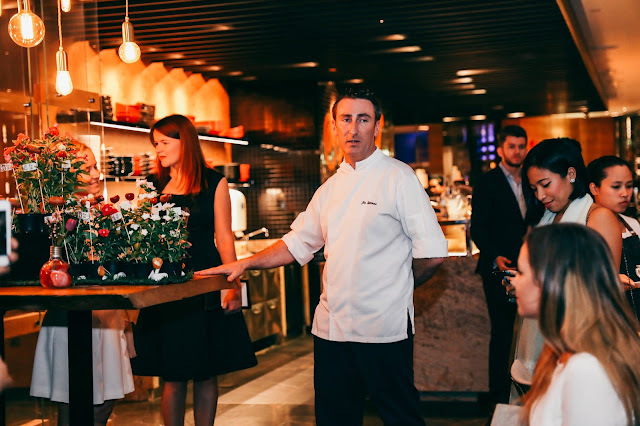 The timing of this launch could not be better if you consider the growing trend among restaurants to move towards more laid back and casual concepts, where relaxed is the new fine. 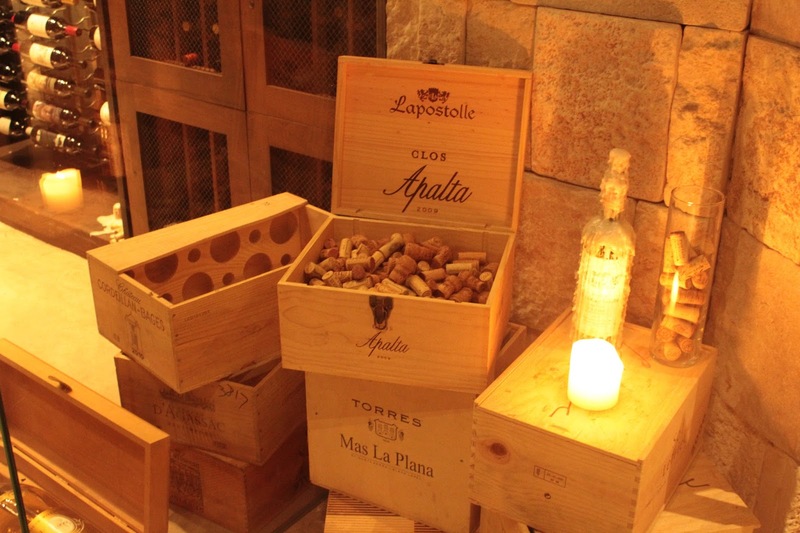 La Cava is certainly not your average bar. Simply put, a burger and two glasses of wine give you a glimpse of this fine venue, the only one of its kind in Abu Dhabi - there are no other wine bars. 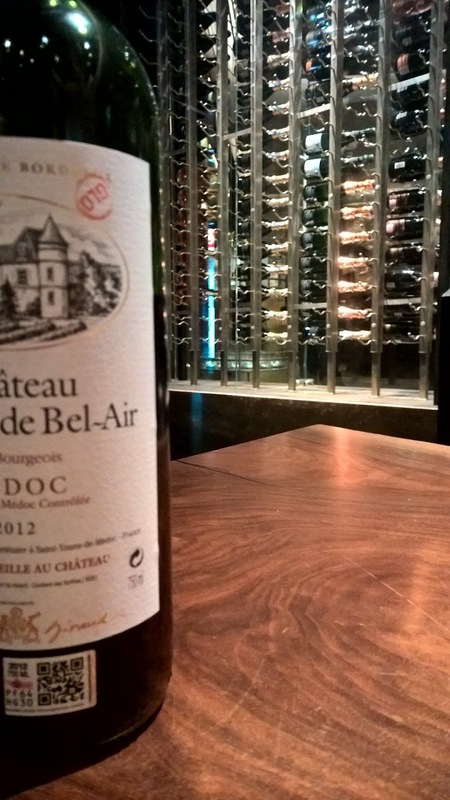 It means that La Cava is often judged, unfairly so, as being a bit high brow. Regulars would disagree of course, because it is anything but that. Resident sommelier Isael and Chef Francisco, along with their team, ensure the tone remains one that is free and easy. 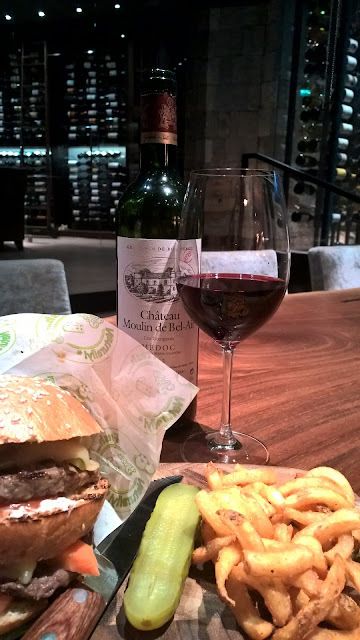 Burgers and beer have been the default choice of pairing in many establishments, but I personally think that wine is a better pairing, especially considering the Australian wagyu that is used in the meat based burgers. 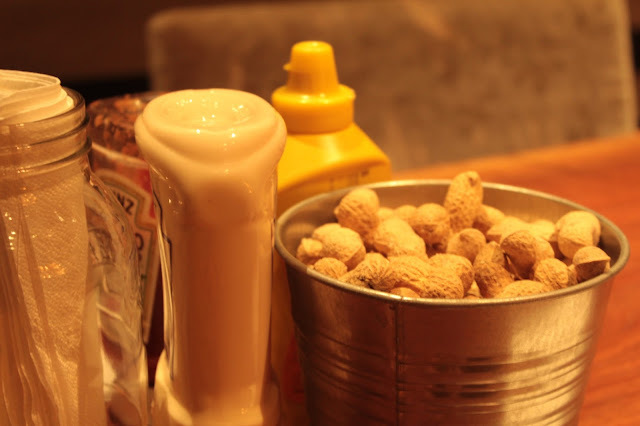 To cater for regulars, there is a choice of burgers and wines which change. I understand there are also vegetarian and crab burgers. On this occasion, I had the Double decker burger, an ode to the gourmet burger. The burger features portobello mushrooms and emmental cheese. 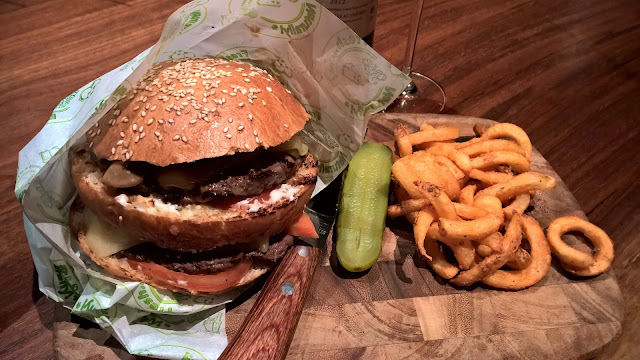 I particularly enjoyed the cheese because rather than the usual saltiness that cheese adds to a burger, the mild sweet element that this cheese brings to bear on the burger makes it even more delicious. The casual feeling of the evening is brought home by the American country theme. Do not anticipate kitschy iconography - this is still Rosewood Hotel after all. Instead, expect a waitress dressed in a plaid shirt and red Converse sneakers, while in one quarter of La Cava a screen projects a classic movie. Don't worry, the sound is turned off. On my visit, it was a Clint Eastwood spaghetti western! Then the music. Country music was played, and I had fun identifying some of the artists. Really enjoyed Lady Antebellum. Finally, there are no linen napkins or knives and forks. It is genuinely casual. While I am not utterly convinced that the country theme is necessary, the key question in my mind is: Does it create a relaxed atmosphere? The answer is unequivocally affirmative! The pricing is on the money, if you excuse the pun. 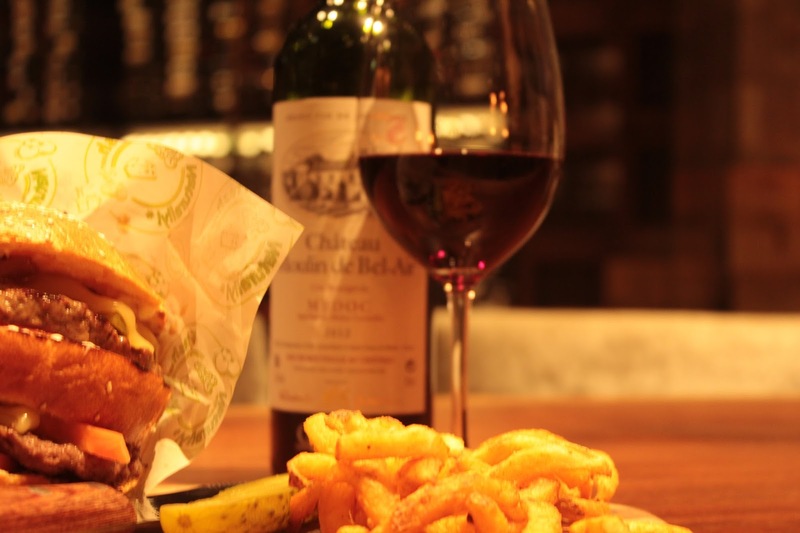 With gourmet burgers of this ilk, one typically pays around 140AED-155AED, so the price which includes two good glasses of wine, also represents value for money. Overall, Burgers & Châteaux works as a concept because it illustrates that a night out at this beautiful venue need not break the bank, while also ensuring a relaxed evening that runs contrary to any preconceived ideas guests may have of a wine bar. Just because you are in a smoke-free environment where beer is not drunk by boisterous guests, shouting loudly on their mobile phones does not mean it is not relaxed. I for one enjoy the idea of a night out in a cultured but unpretentious environment where I am engaged in an intelligent manner by staff. Monday nights have just opened up new possibilities. Disclaimer: I consult at restaurants and hotels in an attempt to look at the entire product to take service levels to where they should be. 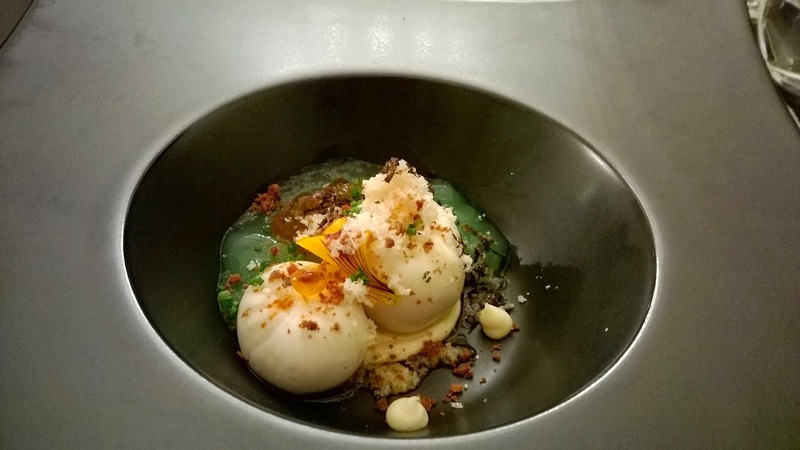 I visited La Cava as a guest of the restaurant.